Look for us on iTunes & ShoutEngine! 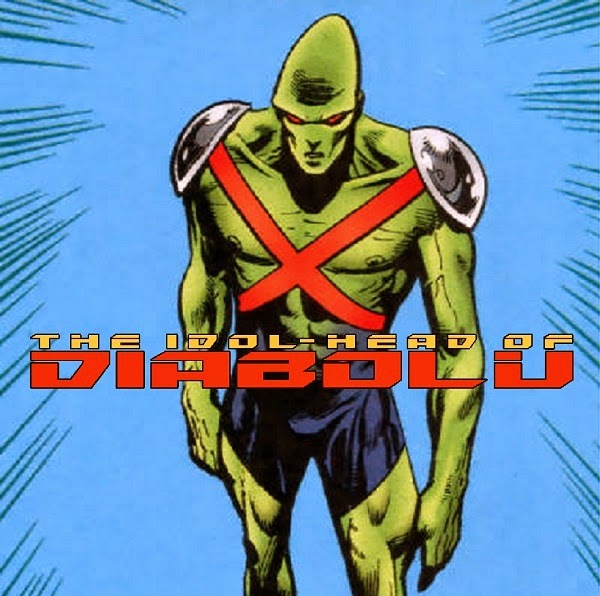 As part of a Super Blog Team-Up crossover, we look at Imaginary Stories featuring the unfamiliar J’Onn J’Onzzes of parallel dimensions! Trip the light fantastic with the below blogs/vlogs/podcasts! If the main Idol-Head of Diabolu blog isn’t your thing, try the umbrella Rolled Spine Podcasts. I’ve really enjoyed your first 4 episodes! Martian Manhunter has always been a character I’ve enjoyed but not known a whole lot about. I’ve only ever read him when he’s crossed over with characters like Superman and Batman (I always enjoyed when he showed up in World’s Finest) or been a constant member of a team like the Justice League. I’ve always enjoyed the crazy Martian Manhunter knowledge dumps you’ve had over at Fire and Water, so I’m really looking forward to more episodes of this podcast dedicated just to MM. I’m looking forward to future Episodes!